Nice and tidy for its age. Staff were amazing, food was delicious and an interesting place for the family . Simple, clean accommodation. Basic, kettle and coffee making supplies there. Working/Holiday My husband and I set Karringyup Waters resort as our base as we worked in that area. 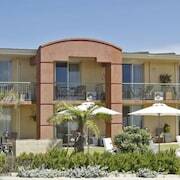 We found the staff very accommodating and the unit we stayed in was perfect for our needs. We stayed at a number of locations while we were in Perth and found that Karringyup was by far the best. There's just 1 hotel within 10 kilometres of Yanchep's centre, so you'll need to move faster than a kid hyped up on red cordial if you want to stay close by. 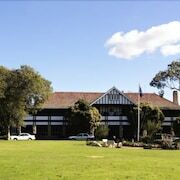 Move quick and lock in a room at the Yanchep Inn. It's the only listed option close to the main streets. More accommodations include the Clarion Suites Mullaloo Beach, which is 30 kilometres from central Yanchep, and the Novotel Swan Valley Vines Resort, which is 35 kilometres away. 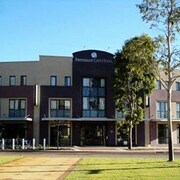 Cover your bases by also looking into the Joondalup Resort, 25 kilometres away. Always on the hunt for your next great adventure? You'll be happy to know that the wider Western Australia region has some fabulous things to sink your teeth into as well. Hone your landscape photography game by checking out some of Western Australia's gorgeous beaches and desert landscapes. Art galleries are a few more popular tourist stops worth whipping out your camera for. If the sun is shining (or even if it's not), you could also try your hand at some exciting activities like hiking, four-wheel driving and shore fishing. Looking for more things to do? Spend some time visiting the Westfield Innaloo Shopping Centre and Karrinyup Shopping Centre. You'll find them in Marmion, 35 kilometres to the south of Yanchep. If you want to spend a few nights in Marmion, consider the rates at the Hillarys Harbour Resort and Quality Resort Sorrento Beach. Or, you could consider staying in Shenton Park, 50 kilometres to the south of Yanchep, where you can choose from The Richardson Hotel & Spa and Darby Park Serviced Residences Subiaco. 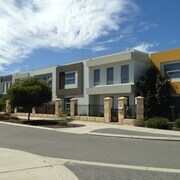 Whether you're shooting through or staying in Shenton Park, be sure to explore the Peninsula Farm and the Crown Perth. If you've gotta stay near the airport when you arrive, you can easily book a bed for the night at the Airport Apartments by Aurum or the Sanno Marracoonda Airport Hotel. And if you can't be bothered pulling out a map, Perth Airport is located 50 kilometres away from downtown Yanchep.